In these modern days, every homeowner wants to bring this modern feel inside his home especially the bedroom. 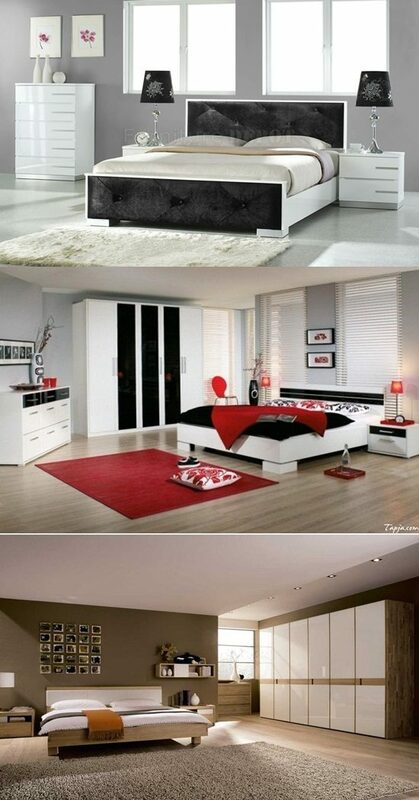 The contemporary bedroom doesn’t be complete without a modern wardrobe. So we will help you in this article to choose the best modern wardrobe for your bedroom. In the market nowadays, the wardrobe is available with different sizes, shapes, materials and colors. There are different sizes to fit every home needs; they are numerous from the single, double to triple doors with full or half-length individual drawers. The materials are also various wood, metal, fibre, etc. but the wooden wardrobe is the best choice ever. The wooden wardrobes are popular with various types of wood like; oak and pine. Mahogany, mango, and beech are also available for making a good wardrobe. The neutral shades of pine and Oak are incredibly amazing to match everyone decor. For choosing the best modern wardrobe for your contemporary bedroom, you need to consider your bedroom measures to pick the right one for it. Then the quality is an important feature, you have to care about. The wardrobe has to be durable to be cost-effective. The other item to consider is the functionality, moreover the stylish and elegant look of the wardrobe, it needs to be functional to meet your storage needs. Be sure also that the wardrobe finishes are ideal to keep you safe without any injuries. For these previous purposes, the modern wardrobe is the best and ideal one for you; because these wardrobes are sturdy and spacious. They come also with the finest and durable finishes. You can match well your modern wardrobe with your contemporary decor. One of the recommended wardrobes is to pick the one with mirrored slide door. This one is perfect for enlarge the size of your room and it keeps your room look so bright and elegant. For the financial issues, don’t ever worry. You will find these modern wardrobes with different prices either to fit everyone budget. So look around online and at magazines to choose your preferred one.